Meet the dedicated, knowledgeable staff supporting your day-to -day needs. 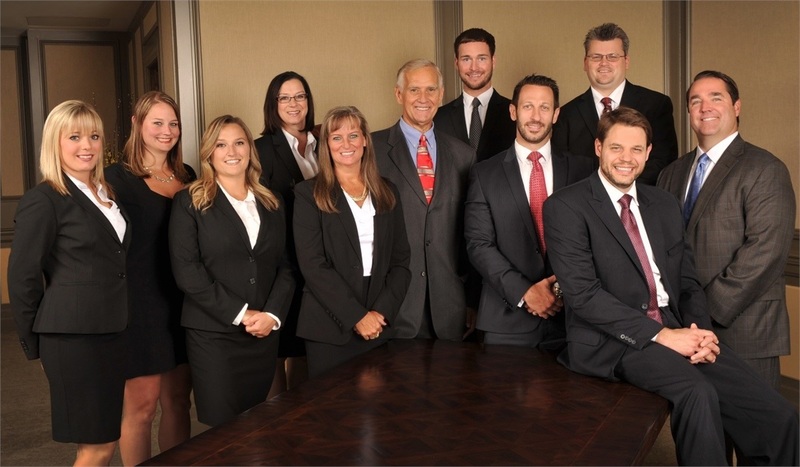 From left to right: Michelle Brennan (Marketing Associate), Jackie Malich (Administrative Assistant), Kaitlin Wysopal (Administrative Assistant), Christine Mortimer (Administrative Assistant), Kathy Wrobel (Administrative Assistant), Ronald Wrobel (Advisor), Robert Buoy (Client Services Associate), Ryan Williamson, John Crawford (Administrative Assistant), Paul Fousek (seated) and Richard Shanley. Not pictured: Matt Arhontas (Advisor), David Wadolny (Advisor). At Horizon Wealth Management, our entire office team stands ready to provide an exclusive level of service that’s hard to find outside the private wealth divisions of large investment banks. Our extended support team are long-time members of our practice, who enjoy building lasting relationships with our clients.